24 Feb What about Wyatt? One of the things we considered when we first started talking about living in Honduras was whether or not we could meet our son Wyatt’s needs if we made the move. Wyatt is deaf. 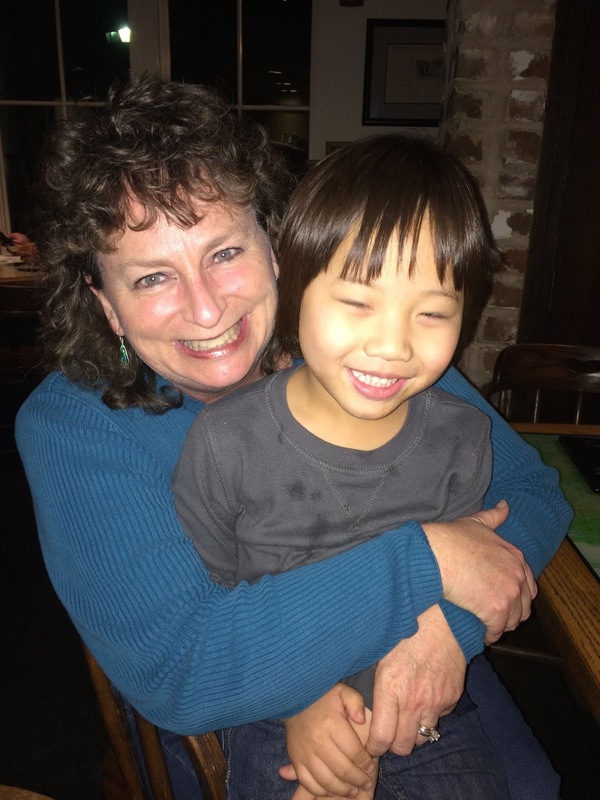 When he became a Robinson in 2013, he was almost 3 and had virtually no language at all. We had a lot of support in our area when Wyatt was younger through an early intervention program in our county. We started learning ASL right away but language development in all of us has been so slow. Rural Georgia doesn’t offer much in the way of community and resources for school-aged children who are deaf, though, and Wyatt is 6 now. 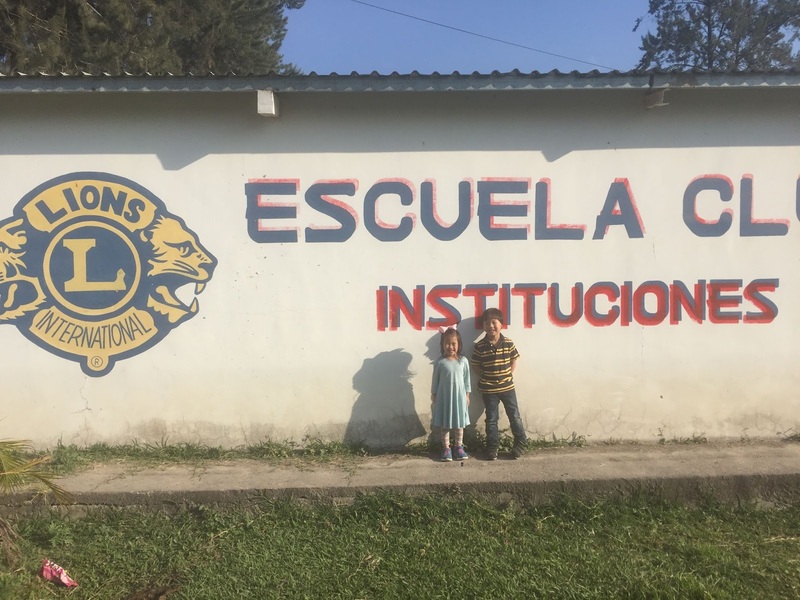 We were at a point where we had to do something to improve Wyatt’s access to language, and fast, and up and moving to Central America wasn’t among the top strategies for serving Wyatt’s needs well. Right in the middle of all the figuring out, we had an opportunity to travel to Honduras in May where I shared about trauma and child development at a conference in Siguatepeque. The trip turned out to be a divine appointment that changed the trajectory of our lives, as divine appointments do. As we were talking with our friends and hosts during our trip, they suggested that we meet their neighbors who minister to the deaf here in Honduras. We actually had the opportunity later that same day to meet Martha and hear all about the ministry she and her husband Mike began here almost 10 years ago. They lead a deaf church, teach sign language classes, and minister to the deaf in and around Siguatepeque. I still marvel that as we were trying to figure out something complicated and outside of our knowledge base, God housed us in Honduras next door to a family who could unravel some of the complicated things and expand our knowledge base. So awesome! Soon after our feet were back on US soil, I reached out to my friend Becky Lloyd with Signs for Hope, who graciously answers frequent calls from me that typically begin with something like, “Becky, what should I do?” We were feeling led to Honduras but were struggling to see how it would all work. Becky listened and shared ideas, and when I said, “I don’t know what to do,” she did. 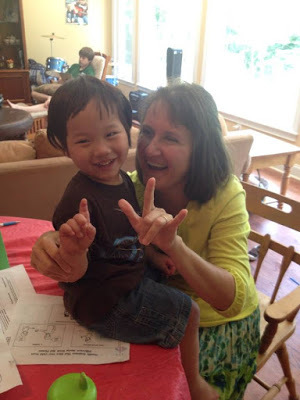 She posted an ad on the Signs for Hope webpage…an ad for a language instructor…an ad for a language instructor willing to step away from life in the US and move with us to Honduras so that we could continue to learn ASL as a family and Wyatt could have access to a good education. Less than a week later, I was introduced to our new friend Ellie. As I sit here this morning, 5 days away from welcoming Ellie to Honduras, I am overcome with gratitude and more confident of God’s leading in our lives than ever, which is blessed assurance indeed. Ellie and I talked and prayed all through last summer, and then God told her, “yes.” In September she met our family in Atlanta, at Ikea of all places. We meandered through the store, stopping to sit on couches and talk while the kids played house in the model kitchens. (I’m so sorry, Ikea. You may not know this but playing house in your model kitchens is a favorite Team Robinson past time. There are enough model kitchens for the children to each have their own where they can host and invite each other over for tea parties and dinner gatherings.) 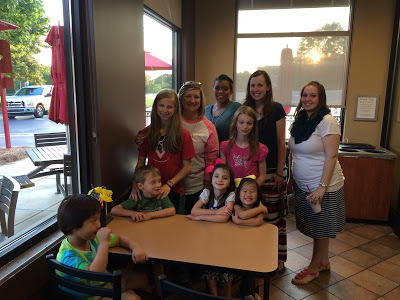 We finished off our day with Ellie at Chick-fil-a and we left there excited for what God had in store for us all. During the months that followed, my sweet friend Becky talked with me often and listened to all my ramblings, as God continued to lead us to Honduras. It felt almost too good to be true when 5 days before our move to Honduras, Becky and I both ended up in Bluffton, SC at the same time. I even had Wyatt with me on that trip. We all had dinner together, and today the memory of our time together is a beautiful gift. God has blessed us so much through rich friendships we wouldn’t have had if Wyatt wasn’t a part of our family. Since we arrived here, God has continued to connect the dots for us as we’ve tried to figure out all the ins and outs of life in Honduras. We’ve met so many people and made new friends. We’ve loved and been loved well. We’re speaking Spanish and have been so blessed by the experiences we’ve had through our language school. One of the most incredible things we’ve experienced here has to do with Wyatt, though. All the confusion over what to do…all the complicated decisions that we just couldn’t figure out…Well, here in Honduras, the pieces are coming together. We reconnected with Mike and Martha and a few days later Martha was driving me to a parents’ meeting at a school 2 blocks from our house. I was introduced to the director and teachers who use sign language in the classroom, and Wyatt was invited to join the kindergarten class. He started school on Monday and LOVES it. Well, he loved it until Wednesday when he caught a stomach virus, but he can’t wait to go back on Monday. We’re only here in Siguatepeque for another 6 weeks, but guess what? Just try to guess what just opened in the city where we will move in 6 weeks. A new school for the deaf, run by friends from Mission UpReach. Just amazing! God continues to shape and refine us for His purpose and glory, and we couldn’t be more thankful.